Experience breathing underwater - and your life will never be the same! ;) Total Diving regularly offers "scuba tryout sessions" also known as PADI Discover Scuba Diving Experience in Montreal. Talk to your Montreal dive instructor to schedule a session. Total Diving regularly offers "scuba tryout sessions" also known as PADI Discover Scuba Diving Experience, in Montreal. We will bring everything you need to have fun underwater, except your personal bathing suit and towel. You should also bring a padlock for the locker room. Being healthy enough for scuba diving. A medical questionnaire is required. Being comfortable in the water. You do not need to be a good swimmer but you need to be able to float and move around comfortably in the water. 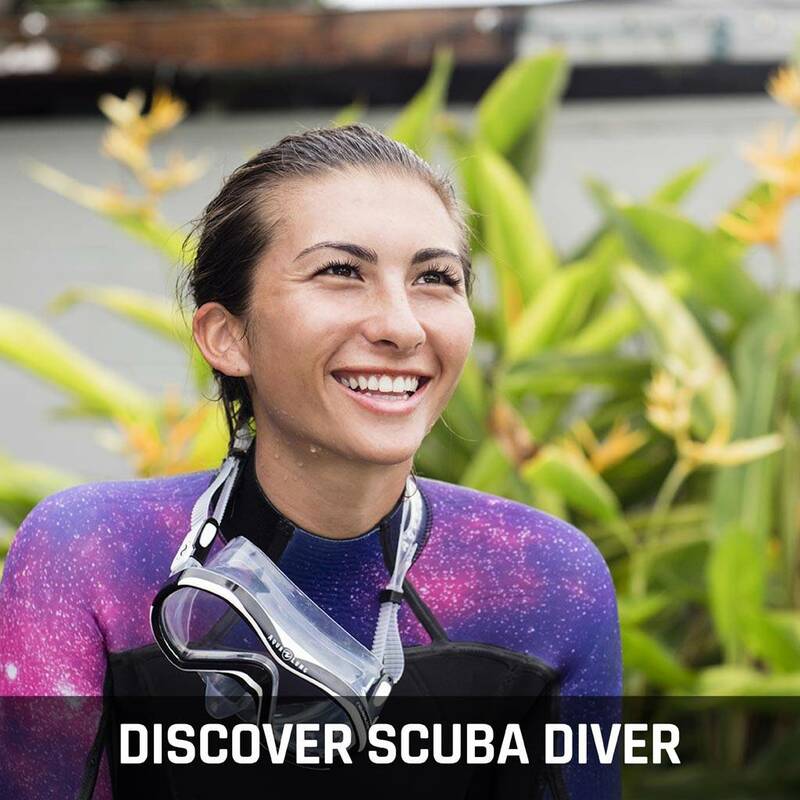 Although the minimum age set by the dive industry is 8 years old for breathing underwater in a pool and 10 years old for certification in Open Water, the minimum age for this scuba tryout program in Montreal is set at 14. To organize training sessions for divers younger than 14 years old, please talk to us. We could organize special sessions for your kids. You should plan for about 90 minutes of discussions & videos, followed by about 90 minutes of fun in the pool! Talk to your Montreal PADI Dive Instructor for organizing your scuba tryout session.